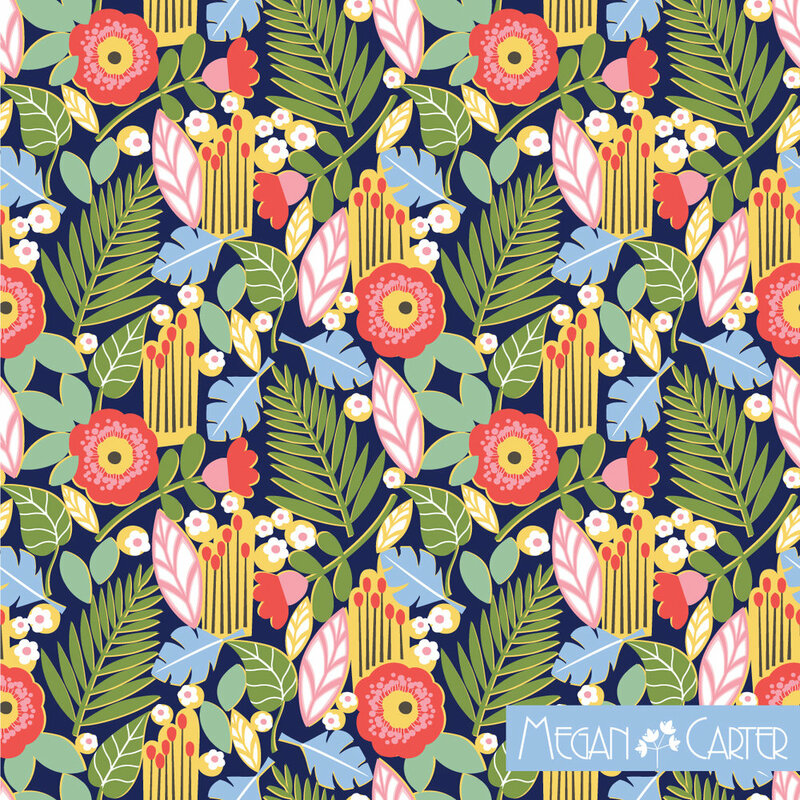 Hi, my name is Megan Carter and I'm a Surface Pattern Designer based in the sunny region of West Yorkshire in the north of the UK. I live with my husband and two wonderful daughters. I think that my desire to just draw was with me from word go. I've got very vivid memories of drawing and painting as a child and I always had loads of encouragement from my dad who is an artist. 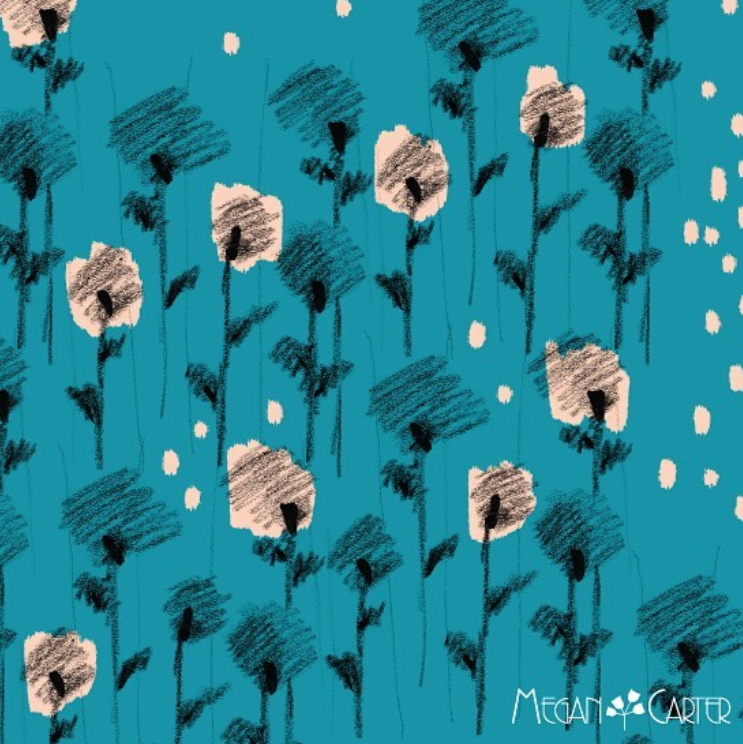 I imagine I was about eight when I started drawing pattern ideas for outfits for my friends and various co-ordinating patterns for homeware items like cushions, wallpaper and curtains. I also had an attraction to drawing tiny mice and creating complex mouse house plans for them. I couldn't imagine any other direction to go, it was what I solely enjoyed and still do to this day. I studied art and design at college and then on to Staffordshire University where I took the fantastic BA Honers course in Surface Pattern Design. 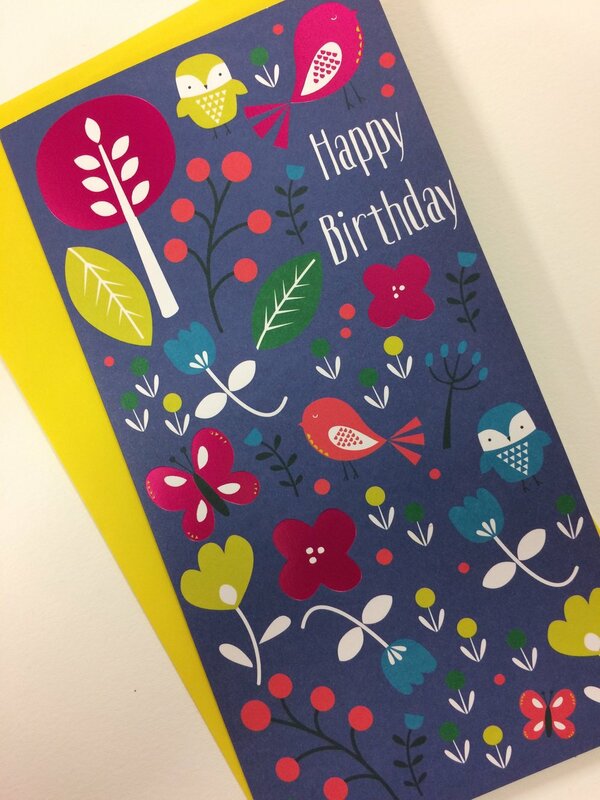 From there I immediately went on to work as a greetings card designer for Tigerprint, a division of Hallmark Cards and then on to UK Greetings. Having become a mum nearly nine years ago, my week consists of juggling my time between my two daughters and exploring and developing my love of drawing and designing. 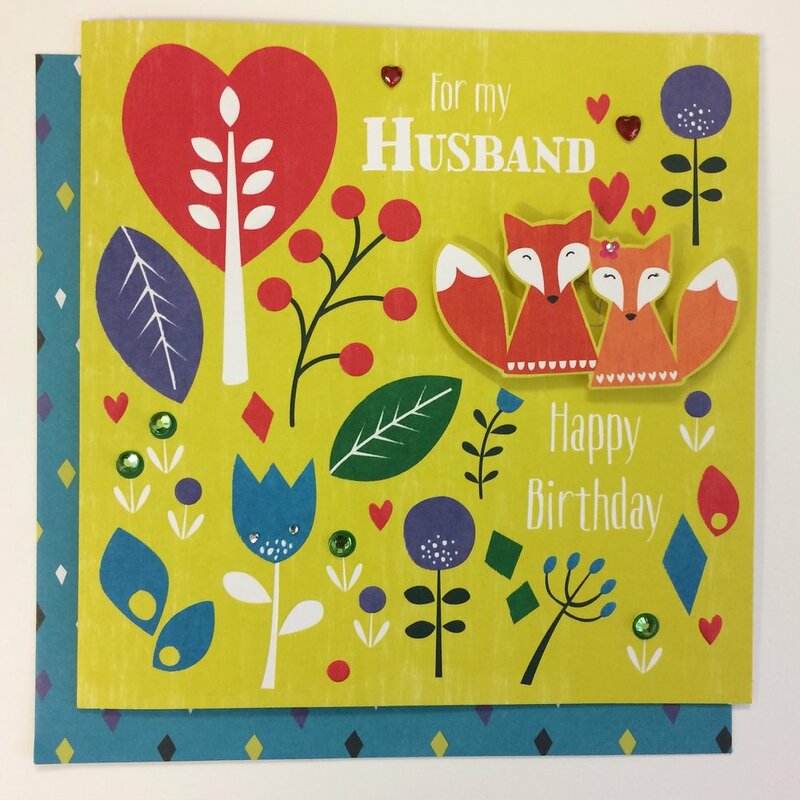 I have been really lucky to have worked part time for Uk Greetings since having a family so I continue to design cards for them two days a week where my work has evolved into a combination of illustrative and pattern based styles. The other three days in my week are used to explore new design projects on a freelance basis with more focus creating my patterns. You know, I would have to say be happy with your choices, have confidence and no regrets. When I look back to how I've lived my life so far, career choices, life choices, relationships, I like to think I wouldn't have done it any other way. Life's a massive learning curve and it's impossible not to make mistakes or wrong choices along the journey especially when it comes to moulding a job out of your passion. I try to live with the ethos of looking forward rather than to the past. If I'm designing for UKG I generally have a pretty short window of time to complete the briefs that I'm set because of the limited hours I work for the company. So, it's become a case of taking a little time out and to look for something inspirational to help focus my mind. Just having a doodle focused on something completely different often helps. I also seem to thrive working in the afternoon so having my lunch often makes a difference! With my own concepts that are allowing me to have more time to work on and be more experimental with, I generally find that if I'm working on a design that just isn't evolving I put it aside and focus on something new. Of course, I always have the massive, crazy part of my life with my kids as a welcome distraction to step back to and stop thinking about work which often puts everything into perspective. My sketch book, pencil and my Mac. I like to have a good old research into the theme or trend I'm working on first of all so I have a rich source of visual inspiration to work from. Once in a while I can come up with ideas that are more spontaneous with little input from visual resources but more from memory of images and shapes I've seen around me. I then draw in my sketch book or on large rolls of paper, often in a doodle approach to make it more of an experimental experience. It's then on to scanning onto the Mac and then playing with Concepts through Illustrator and Photoshop. 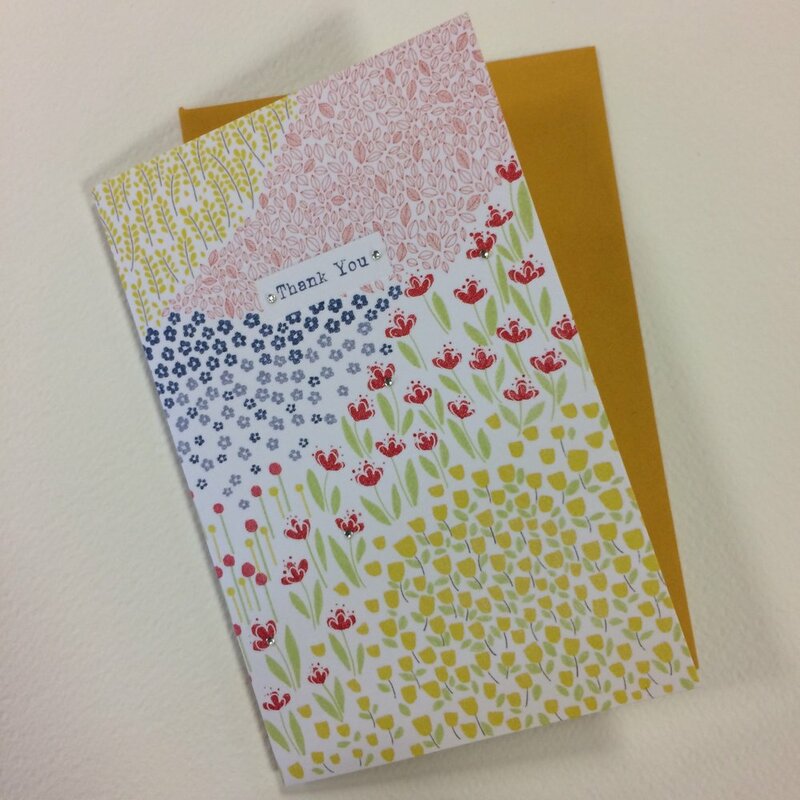 The recent collection of patterns that I have designed during my freelance exploration have a definite unique look to them that move away from my greetings card concepts. This is a new experimental area of play that I have thrown myself into since last September now both my daughters are at school. It's still early days with ideas in the making and I'm trying a handful of new free-lance projects that are keeping me busy. I'm always on the look out for new collaborative adventures to get involved with, one of which I am particularly excited about. Contrado is a Uk based online platform offering designers the opportunity to build their own exclusive brands, offering customers exceptionally well-made designer homeware and fashion products. 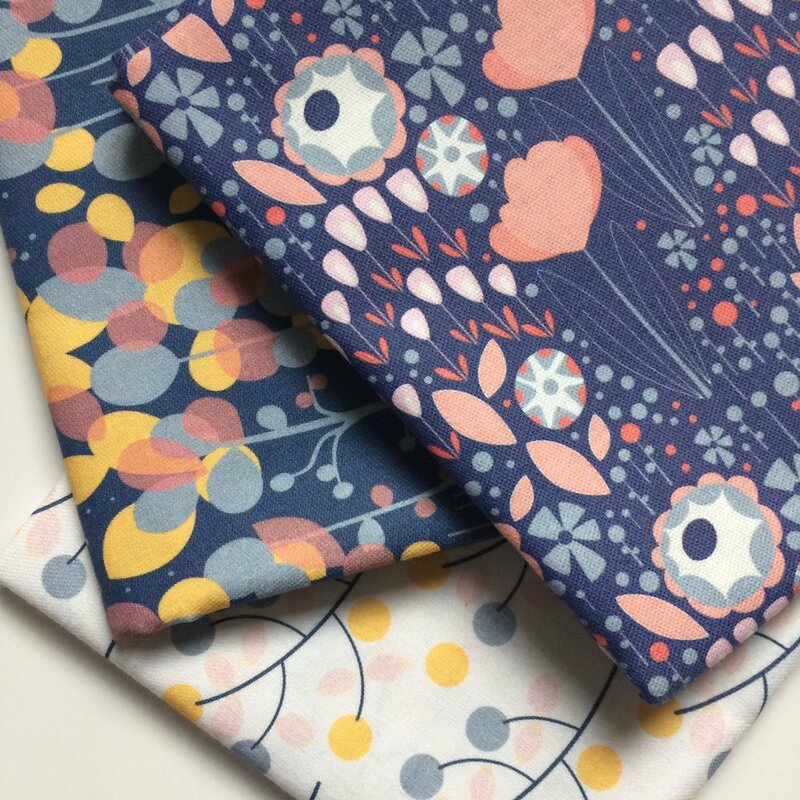 At the beginning of July I launched my own store with Contrado https://www.contrado.co.uk/stores/megancarterpatterns applying a collection of my patterns to their great selection of products. I love the fact that these are one off bespoke products that are ethically sourced, skilfully manufactured in one facility and not mass produced. The joy of this approach is I still get to focus more of my time designing rather than getting tangled up in the manufacturing elements of the process. 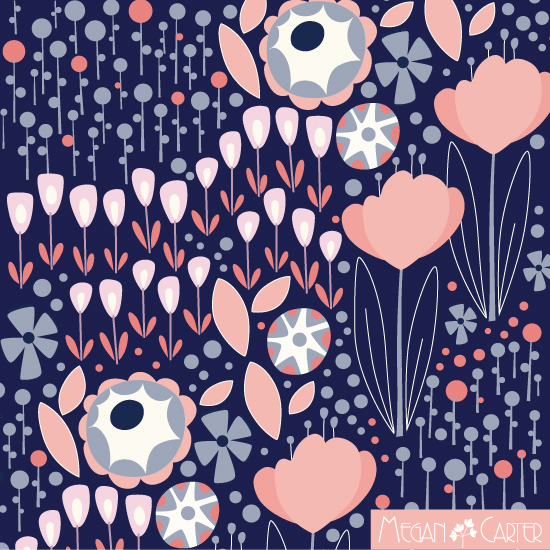 I am also a seller on the Pattern bank website https://patternbank.com/megancarter-1 where I have a collection of designs available for various licensing agreements and also Art Rookie http://www.artrookie.co.uk/megemlew another online platform for designers to sell their designs on a collection of homeware products. Over my career at UKG I have worked on some great seasonal and everyday briefs. 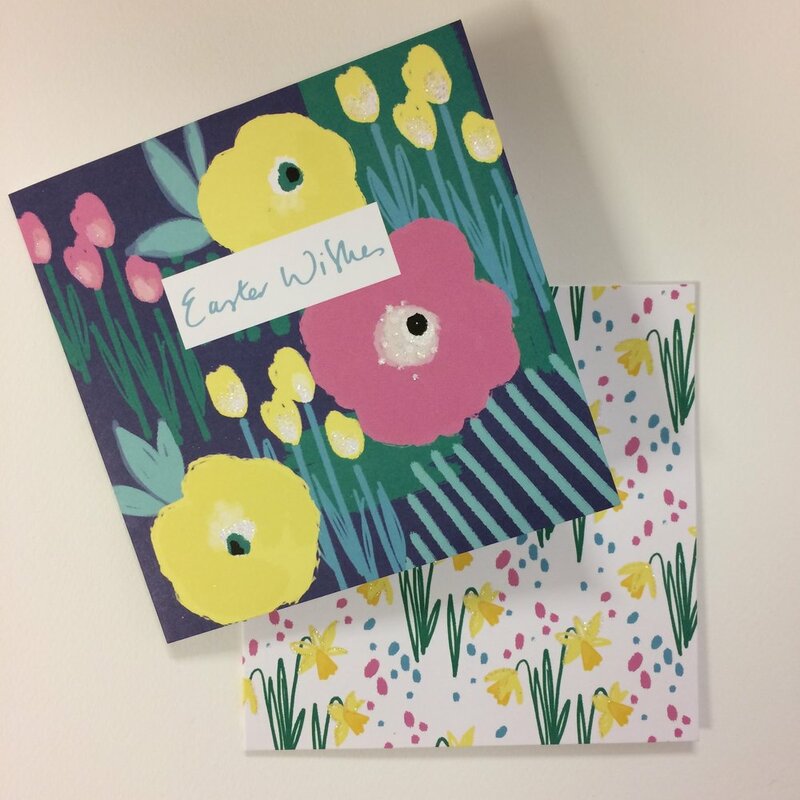 Some of my recent favourite designs include a Mother's Day, Easter and Good Luck card. I also worked on a collection of cards called Scandic which focus more on whimsical characters. I adore the prints of Marimekko. I love the unique vibrancy and boldness of their statement designs and the very graphic nature of the patterns really appeal to me. It would be the most amazing opportunity to design for their range. It would have to be my sketch book, pencil case (though I suppose that's cheeky as it would be a very full pencil case!) and my imagination. I always seems to go back to the natural form of flowers as a starting point for my patterns. There is something about the flowing organic shapes that I'm naturally drawn to plus there's such a variety to choose from. I mix this up with my fondness of vintage patterns. I usually gather my inspiration through Pinterest, Instagram and my own collection of books plus gathering forms and shapes from flowers and plants around me. I've also started gathering objects that I've collected over the years as starting points for projects such as old ceramic plates or old tins adorned with gorgeous patterns. I love looking at a whole variety of historical applied arts, particularly textiles, wallpapers and fashion. I recently took a trip to Vienna as I find the designs from the Vienna workshops (Wiener Werkstatte) absolutely wonderful. I've always been a fan of Art Nouveau and this movement was happening in Austria during the same period of time which had a slightly different edge to it. I like to keep on track with current trends and I think it's important as a designer to be aware of the changing styles around you especially if they influence the commercial value of your work. Saying that, I'm also a strong believer of going in your own direction that differentiates you from the crowd. I think if a design is created naturally from your own exploration of ideas and where your passion lies it is more likely to be a successful outcome. There are so many to chose from in my eyes. As always I would say William Morris but I like the work of Joseph frank at the moment who is having a notable come back. I also aspire to the work of Alexander Gerard, Voysey, Matisse, and Gustav Klimt to name a few. I would like to be remembered as a woman who has managed to try and get the right balance between supporting and loving her family whilst still remaining true to her passion of creating bold, colourful patterns to add some happiness to the ever crazy world that continues to evolve around us. Older PostHelp Wanted: Join the RDS Team!